The evolution of the department store continues as retailers lighten up store interiors, invest in services and amenities, and find balance in their brand mixes. Department stores have always been the multi-tasker of retailing, offering an array of products – from housewares and jewelry to apparel and beauty – within a spacious environment. 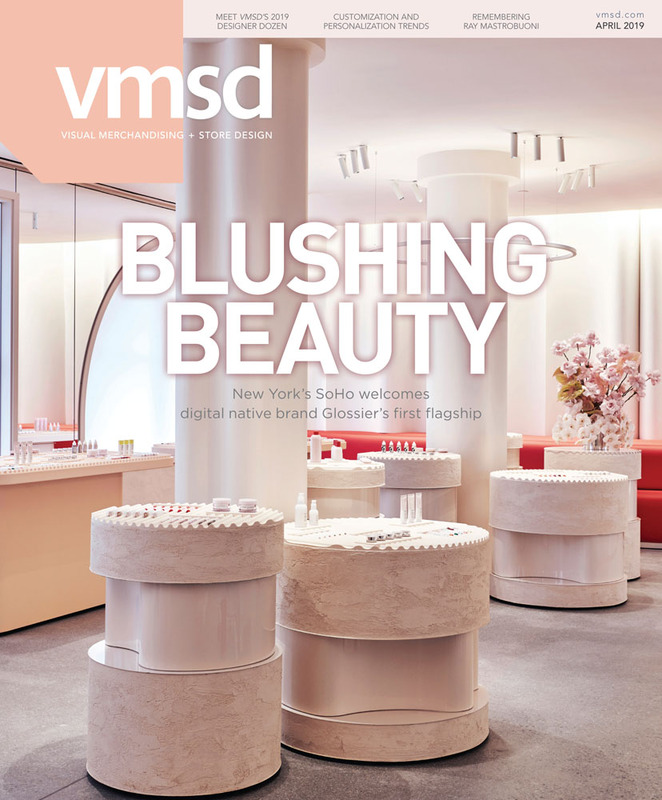 Thankfully, a host of new design and architectural trends shows renewed interest in the department store environment, including a refinement of brand presentations, new layouts and store amenities, and architectural styles that bring the outside in. One of the most prominent design trends shaping the department store landscape is the opening up of perimeter walls. “We’re getting smarter about maximizing floor space,” says Ignaz Gorischek, vp, store development, Neiman Marcus (Dallas). Neiman Marcus’s latest store concept on display in Walnut Creek, Calif., features a multitude of windows on the main and second floors, as well as a corner, glass window area for men’s shoes. Macy’s Inc. (Cincinnati) is undertaking one of the sector’s largest retail renovations at its Herald Square flagship in New York, which is expected to be completed by 2015. Among plans for the project are the “opening up of as many windows as possible,” says Steven Derwoed, Macy’s vp, store design and merchandising, including views over Broadway and Herald Square from a new women’s shoe salon, set to debut this summer. Along with natural illumination, department store retailers in North America are infusing their spaces with new amenities and services that are designed to draw shoppers in and then keep them there longer. Some retailers are relying on technology to improve customer service, including Sears Holdings Corp. (Hoffman Estates, Ill.) and Saks Fifth Avenue (New York), which have armed employees with iPads to facilitate the shopping experience. Macy’s is testing Beauty Spot, a concierge-like cosmetic service where shoppers interact with a kiosk to order beauty products from a host of brands, which are then collected by a sales associate for an easy and efficient checkout experience. One of the most anticipated department store transformations will begin this fall as JCPenney (Plano, Texas) begins an overhaul of its store interiors to bring them more in line with its new, Ron Johnson-driven branding strategy. By 2015, every store in its fleet is expected to hold 100-plus mini-shops laid out along pathways that lead to a town square, which will host events and gatherings, such as ice cream socials, for customers. Food is also making a comeback, says FRCH’s Gardner. “The customer is looking for ‘What else is in it for me?’ when it comes to the shopping experience,” he says. Today, consumers can expect to find a range of offerings from sit-down dining and pub-style restaurants to coffee stations. Macy’s Herald Square will house a coffee, champagne and chocolate bar, as well as restaurants that cater to both customers and the late crowd with sidewalk entrances for when the store is closed. Another growing point of distinction for department stores are their brand offerings, whether housed in hard or soft shops throughout the store environment. Gensler’s Jordan says designer partnerships and brand collections are great for grabbing shoppers’ attention. “They generate buzz and get customers in the store, hopefully yielding a halo effect for private labels and other assortments,” she says. Louis Vuitton will unveil its first shoe salon at Saks Fifth Avenue in New York as part of the luxury department store’s renovation and expansion of its 10022-Shoe department, which boasts its own zip code. The branded shoe salon will carry a distinct Vuitton feel, including blond wood, hand-applied plaster and textured lacquers, with carpets and seating selected by architect Peter Marino, Women’s Wear Daily reports. At Macy’s, Derwoed says its 650-plus stores house fewer hard shops and more soft shops today than in the past. The strategy, he says, is taking a more flexible approach in expressing a brand’s presence, whether it’s a few featured fixtures at the aisle to create an icon shop or a feature wall sitting within the Macy’s framework. “The key is that it gives us an opportunity to remerchandise easily when strategies change or new resources are introduced,” Derwoed says. Barb Beeghly, FRCH’s vp, project manager, says department stores should also pay special attention to common areas, using unique materials, furniture or decorative screens to set the scene. “That’s where they can be very distinct,” she says. With several high-profile projects on the books, including Macy’s Herald Square and JCPenney, the department store landscape is certain to keep evolving. Designers emphasize the need to cater to customers through merchandise selection, customer service and a variety of entertainment options, such as food and events. “The shopping experience wins the day,” says FRCH’s Beeghly. Opposite page Macy’s highlights its brand collections in a series of soft and hard shops throughout its department stores. “Customer come to Macy’s because of the brands we offer,” says Macy’s Steven Derwoed.